Get ready for some busy days ahead! Hello there! It’s so nice to see you! I’m Miss Paisley, and I’ve actually been a Bee since I was a very young gipper. 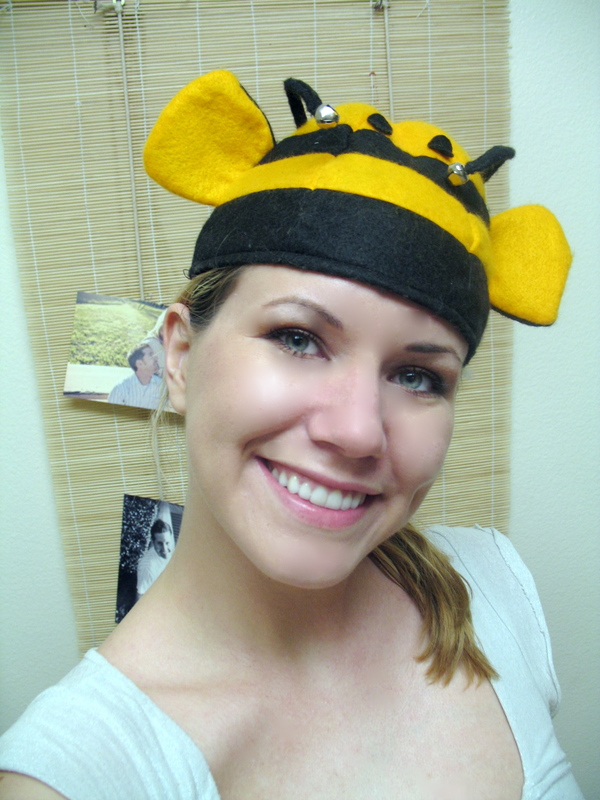 First, I was a “busy bee” at Busy Days Preschool, where I adored the mascot bee with all the unbridled enthusiasm of a five-year-old. Which I think is so appropriate considering I’m once again…a bee! I can’t wait to get started telling you all about our chic, family-lake-house wedding we’re planning. Get ready for a healthy serving of DIY projects, a little letterpress printing, and a side of bumps, surprises and relationship lessons. But first, let me tell you more about Mr. Paisley and me. He’s a Spanish professor, and I’m a journalist. I used to work as an editor for a national glossy magazine, before I decided to start my freelance writing career last summer (so glad I did). Professor Paisley and I met on the forever-exquisite day of Jan. 3, 2007. The date is seared into my mind because I was moving back to Santa Cruz to complete my Feminist Studies degree after just having finished a 10-month stint in the UC Center Sacramento journalism program. The future-Professor-Paisley greeted my mom and me in the hallway. “He is SO cute!” I said to Mama Paisley. “I think he said Spanish…but now don’t you go after him, young lady!” Mama Paisley warned. I’m pretty sure she even wagged her finger. She was right about the first part–the Spanish Professor bit–but the second? O-oh no! I’m glad I made the first move. He followed up with a date to Greek food, and we’ve been pretty much inseparable since, save one year when he was in Orange County and I was up in NorCal working. Let’s just say there were a lot of long nights in the newsroom followed by 8-hour-long drives with me arriving in the OC at 5 or 6 a.m., only to turn around and leave again 24 hours later. Yup, it was love! Together, we’re a couple of goofballs who dig all things outdoors. He’s a Utah boy and an avid rock climber. I’m a NorCal-turned-SoCal girl, and an ex-river-rafting guide and ropes course facilitator. 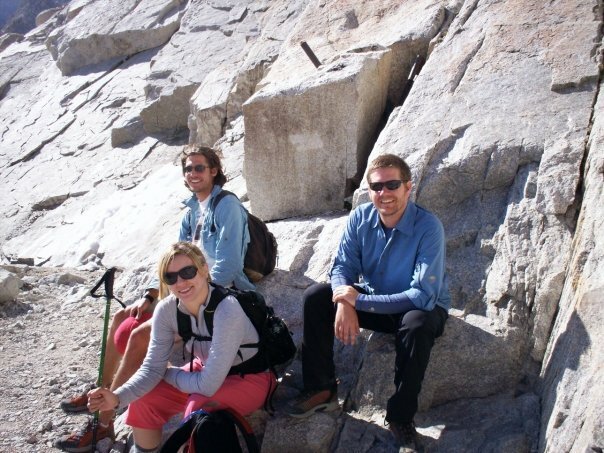 Here we are in August about to summit Mt. Whitney, with Groomsman Josh. I think we all look pretty funny. Weddingbee has been an important community for me for the last year-plus, so you can imagine I’m feelin’ extra honored to be here. I relish this opportunity to build friendships in the ‘hive, hear what you have to say and share my thoughts. 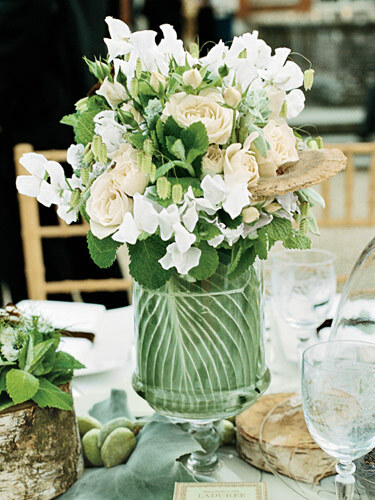 With less than 5 months until the wedding, get ready for some busy bee days ahead! I was having some difficulty coming up with a cohesive color palette, but Style Circle came to the rescue! I found my own pictures I loved, and uploaded them to the feature, and whipped up a board. I am in love with it. But, once I had merged all of my gathered photos into the collage you see above, I was sold! I needed some color. I figure it will tie in nicely with my pale pink bridesmaid dresses, don’t you think? 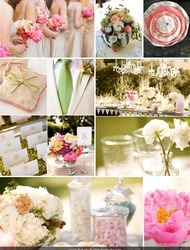 Here is an inspiration board I created featuring our wedding colors, peach and aqua. The peach along with the homey and handmade details bring warmth to the pale aqua palette. My pops and I have decided to undertake an insane amount of DIY, and are already hard at work making many elements you’ll see at the wedding by hand, including 16 long rustic farm tables, 8 walnut burl benches (from the orchard across the street from the house where I grew up), an arbor made out of driftwood that came ashore at my grandma’s house, a dance floor, table numbers and wedding signage. My dad is the best!! !